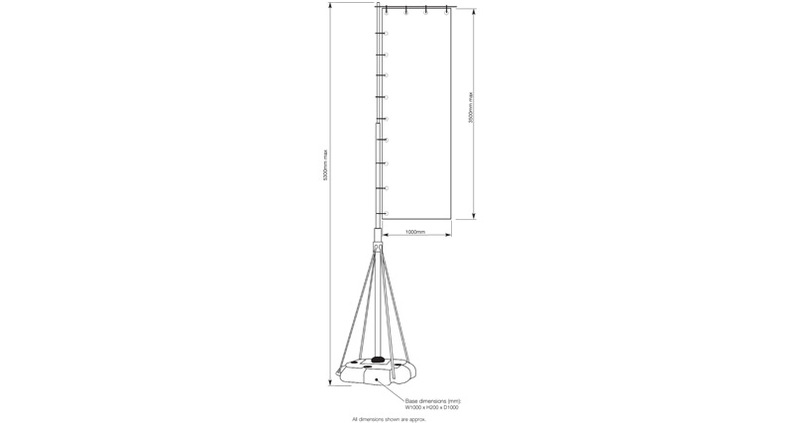 The stand is approximately 15kg when empty, but this increases to around 75kg when the base is filled with water (which provides the flag with stability, a must when used outdoors in high winds). When completely set up, the flag and stand are an impressive 5m tall. The graphic is printed on Trilobal fabric using a dye sublimation printing process, which results in bold and vibrant colours that are sure to withstand the test of time. There are eyelets across the top and down the horizontal edge of the graphic to hold the image securely in place. 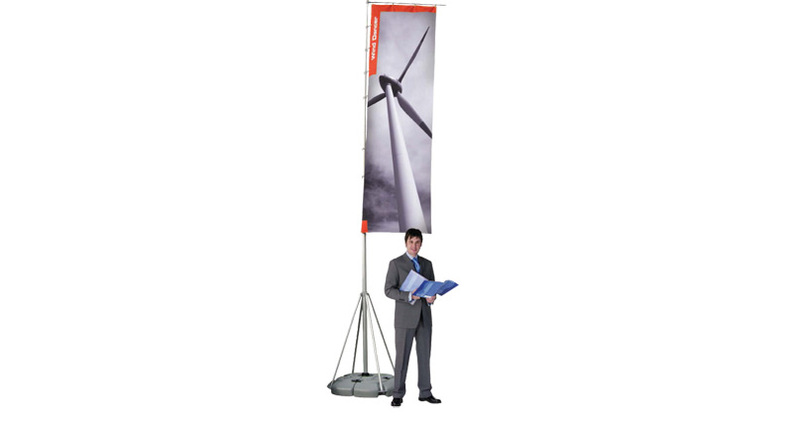 Both the flagpole and the base are easily transportable, ensuring that you can take it between locations with ease. The graphics can also be changed at a moments notice without the need for tools, ensuring that the correct message is displayed at all times. These banners are always printed single-sided. All Windancer flags come with a lifetime warranty against manufacturing defects for your peace of mind. Should I get banners re-skinned or just order new ones? When you need to change the banner image, just send us your new artwork and we will print a new flag for you to attach to the frame.